Beat Latino with Catalina Maria Johnson » APAP 2015! The wonders of Globalfast, Winter Jazzfest and more! APAP 2015! The wonders of Globalfast, Winter Jazzfest and more! 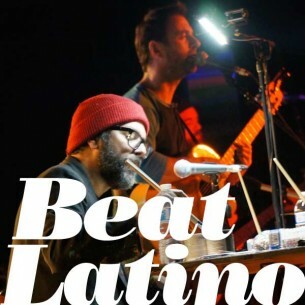 This week’s Beat Latino goes to New York City to share the amazing music we heard at showcases during APAP 2015, the annual conference of the Association of Performing Arts Presenters. We went to Winter Jazzfest, Globalfest and more to take the pulse of the world, jazz and Latin music scene, and here are some of our favorite performers and discoveries! We also had a chance to have a nice chat with Argentinean-North American bilingual folk-leaning troubadour Kevin Johansen about life, languages, song-writing and Guacamole.